After the controversial statement of former French President Francois Hollande that the Indian Government suggested the name of Reliance Defence Limited to be chosen as the offset partner in the 36-Rafale deal, Dassault Aviation, which manufactures the Rafale aircraft, came up with another claim and stated that it was not any pressure from the Indian Government behind choosing Reliance Defence but because this company was registered under the Corporate Affairs Ministry of India and that it had land in Nagpur which was closer to the runway. However, according to National Herald, Reliance Defence did not have any land at the time the deal was announced. The deal was announced on April 10, 2015 whereas Reliance Defence formally got the land in August, 2015. There was no deal related to the land at the time of the announcement of the Rafale deal. Following the announcement of the Rafale deal, Reliance Defence gave a presentation to the Maharashtra government on June, 2015 and demanded 289 acres of land in Multi-modal International Cargo Hub and Airport SEZ area in Nagpur. Just next month, land was formally allotted to Reliance Defence by the Maharashtra government. Now when Reliance Defence was allotted the land in August, how could Dassault claim that the former’s name was chosen because it had a land, when in reality, it did not have any land until August, 2015. 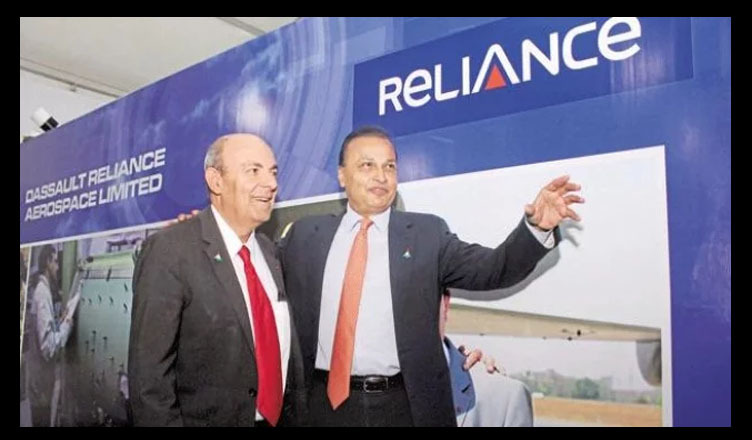 Another revelation that was made a few weeks back, right after the Rafale controversy began, was that Reliance Defence Limited came into existence only 12 days before the announcement of the deal made on April 10, 2015. With so many twists and turns, the Rafale deal is getting murkier, but one thing is crystal clear, one person was favoured by the Indian government at the cost of the state owned Hindustan Aeronautics Limited (HAL). If the government has something in its defence, it should come out and present its points out there for everybody to see.